Self type. Used to specify iterators/circulators. Handle for referencing the corresponding item. Calculates the length of the edge _heh. Update normal for face _fh. Computes and returns the average of the vertices defining _gh. Update normal for halfedge _heh. Update normal for vertex _vh. 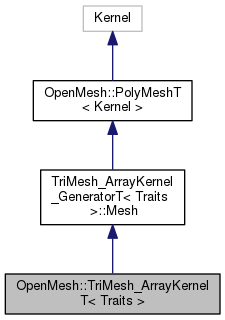 Triangle mesh based on the ArrayKernel.